Club Penguin Cheats by Mimo777 Club Penguin Cheats by Mimo777: Club Penguin Puffle Party Home and Start Screens! Club Penguin Puffle Party Home and Start Screens! Dood! I called it! Penguins WILL be puffles! Woot! I just told you about this! You must have been writing about it at the same time as I told you! Was being a puffle fun in 2008? Favorite Party Reviewed by You! Be Mimo's Friend on Funhouse! Rookie Has Sent Us a New Club Penguin Message! 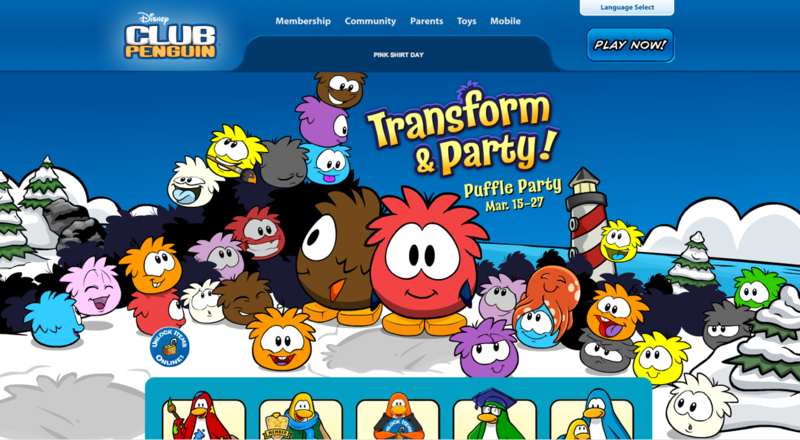 Club Penguin 2012 April Fools Party is Here! The Club Penguin Field Op Number 75 Cheats! Happy77 Talks April Fools Party! Club Penguin: Best Seat in the House Vid! Club Penguin UK Video Blog! Club Penguin: Let's Ask PH Video! Club Penguin Pin Cheat - CAKE PIN! The Club Penguin Field Op Number 74 Cheats! Club Penguin Time Issue #335! Club Penguin April Fools Start Up Screen! Club Penguin April Membership Page! Club Penguin Plan from Dot! Club Penguin March 20 Featured Igloos! Check out Little Space Heroes! Gary Sends Club Penguin Message! Club Penguin Favorite Puffle Reviewed By You! 2012 Club Penguin Puffle Party! The Club Penguin Field Op Number 73 Cheats! Club Penguin St. Patrick's Hat! New Hot Pink Puffle on Club Penguin?! Club Penguin Puffle Handler Sneak Peek! Puffle Launch App by Happy77! Disney's Get Connected Puffle Party Sneak Peek! 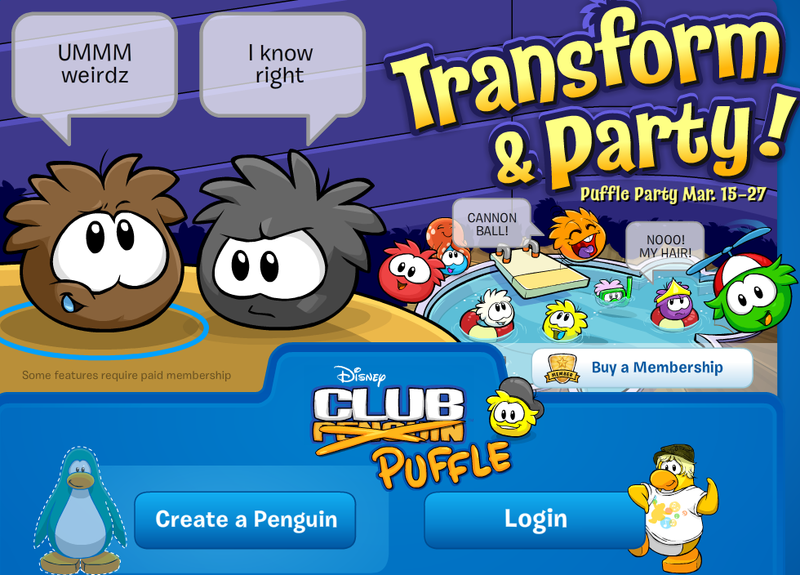 Club Penguin Puffle Party Sneak Peek! Club Penguin Magazine Coin Codes! Club Penguin March 3 Featured Fashions! Club Penguin March 8th Featured Igloos! Club Penguin Puffle Launch App Update! Club Penguin Pin Cheat - CHEESE PIN! March 2012 Puffle Furniture Catalog Cheats! The Club Penguin Field Op Number 72 Cheats! Club Penguin Time Issue #333 is Here! Club Penguin Puffle Party Prep! Club Penguin Puffle Party on You Tube! 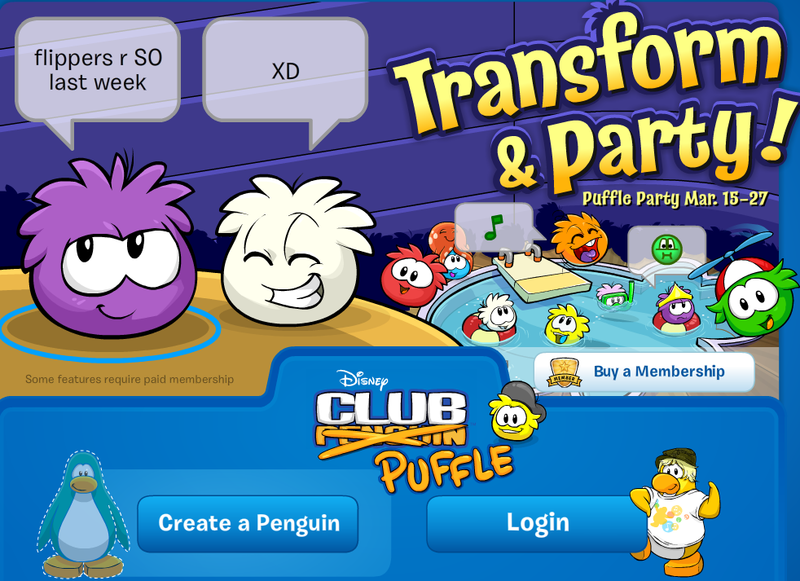 Club Penguin To Become Club Puffle?! RocketSnail Tweets Mimo Important Mech Mice News! Club Penguin March Parents Update! Club Penguin's Pink Shirt Day! Club Penguin Coinage for March! New Club Penguin Message from Jet Pack Guy! Club Penguin Building Safe Places Video! Club Penguin March 2012 Membership Page Update!